We have collected the best German data plans for your smartphones in the table below (prepaid and postpaid). See which one fits your needs and budget best. 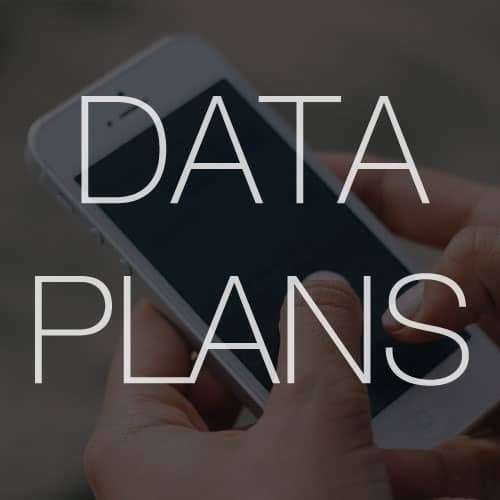 If you only need data for your tablet or computer, scroll down to see special data-only plans. If you are a student or are 28 years old or younger, scroll down to see special plans for young people. Unfortunately, it is not common in Germany to get data plans with unlimited mobile internet, you will usually have a high speed allowance of a couple of gigabytes, depending on your plan. Currently, Telekom and O2 are the only providers, which offer unlimited data plans. However, they are still expensive (O2: €59.99, Telekom: €79.99/month) so it might be wiser to get a different plan with 30GB or 60GB allowance. Vodafone used to offer an unlimited data plan SIM card (Vodafone XL), but it is not available anymore. If you only need data on the go for your tablet, you should check out the following plans. They only include internet access, phone calls or text messages are not possible. You can use them with your tablet or with an internet surf-stick (e.g. AVM FRITZ!WLAN USB Stick). Congstar Homespot is a special offer, which only works at a certain address of your choice (e.g. your home address). A collection of German data-only plans, which can be used with a special router for your home, tablets or computers (with surf-stick). Vodafone Pass: The Vodafone Pass lets you use certain apps without decreasing your data. You can only choose one pass from the following: Chat-Pass, Social-Pass, Music-Pass, Video-Pass. GigaDepot: Any data that you have left in a month will be rolled over to the next month. This means you don’t loose data volume, because it is transferred to the next month. GigaSwipe: You can trade in parts of your flat rate, e.g. if you never write SMS anymore, you can trade it for 1GB of extra data. Data Boost: You can double your monthly data limit if you pay an extra 5€ per month. For the O2 Free L plan, this would get you 60GB instead of 30GB per month. Just select “O2 Free Boost” before you order the plan. So which one is the best SIM card in Germany for students? It simply depends on your needs: Do you need a lot of mobile internet, or do you need free minutes and SMS? 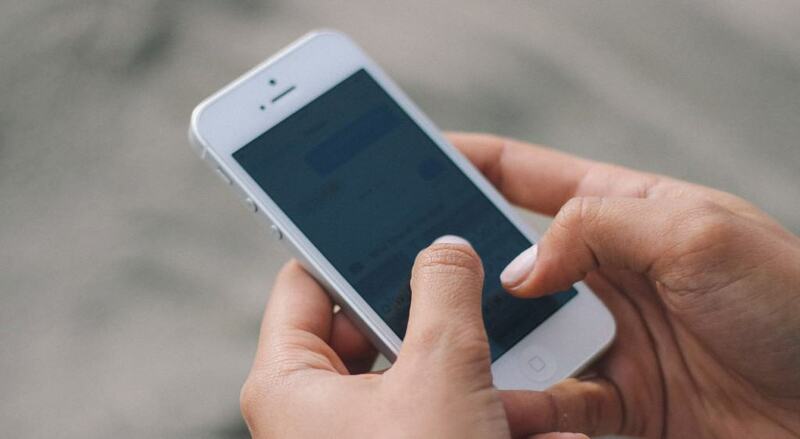 Either way, the following mobile carriers offer special discounts for students and young people and will definitely save you money compared to their standard offers. The age limit for these offers is 29 years (for 1&1) and 28 years (for O2 and Vodafone). If you are a student, you can still get the O2 discounts, even if you are 28 and older. I will be in Germany for 3 months from May. 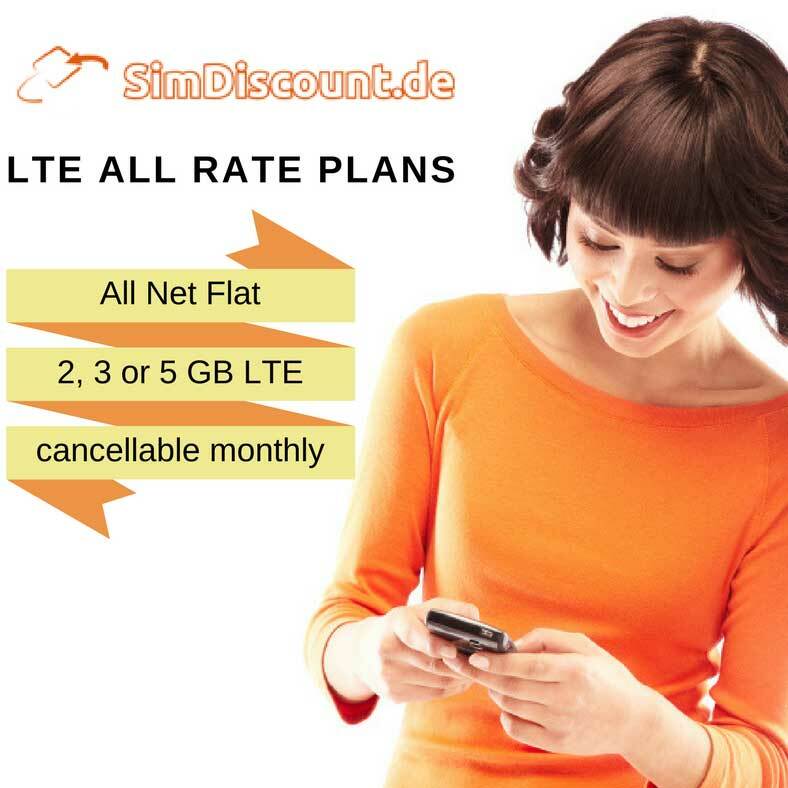 Looking for the best prepaid sim with data text and calls. Will need at least 5GB with option to add data if needed. What would you recommend? The best plan would probably by Telekom or Congstar, but as you are only staying for 3 months, you need to get a prepaid plan. See an overview of German prepaid plans here. Your best choice is probably ALDI Talk. Any idea on how to get a plan with unlimited data roaming plan in the EU? The unlimited plans are only unlimited within Germany with a max GB for EU roaming. Hi, I’ll be in Germany for 3 years and will be travelling around Europe via train/car/bus. Hence, data is crucial to me. Would you think that the Congstar Fair Flat is a good idea? If not, which would you recommend? (Sorry, too many choice above) I’d like to think that I’m not an active data user but I occasionally surf instagram and facebook too. Thanks! Hi, there! I really appreciate the effort you put into gathering all this info, so thanks for that! I have one question though: Do you know of any option/plan that offers a good amount of data for a student that is only staying in Berlin for a week? MyGermanPhone. Nope. Not anymore. Suddenly there are more and more mobile contracts data plans that do not accept roaming. Specially the very unexpensive ones. The same is already happening in other Member States of the EU. I live in Germany, at the border with Luxembourg, and I was suprised to discover last week when I arrived to my office in Luxembourg city with my new tablet, that it could not get into any network. Called customer services in Germany, and they confirmed that I could only use the data plan it in Germany. I have doubts that such contracts are legal under EU Law, but i have not researched the issue though. All major carriers will give you free roaming. There are a few plans that do not allow you to roam for free, but they are usually cheaper and they state this condition when you order the plan. 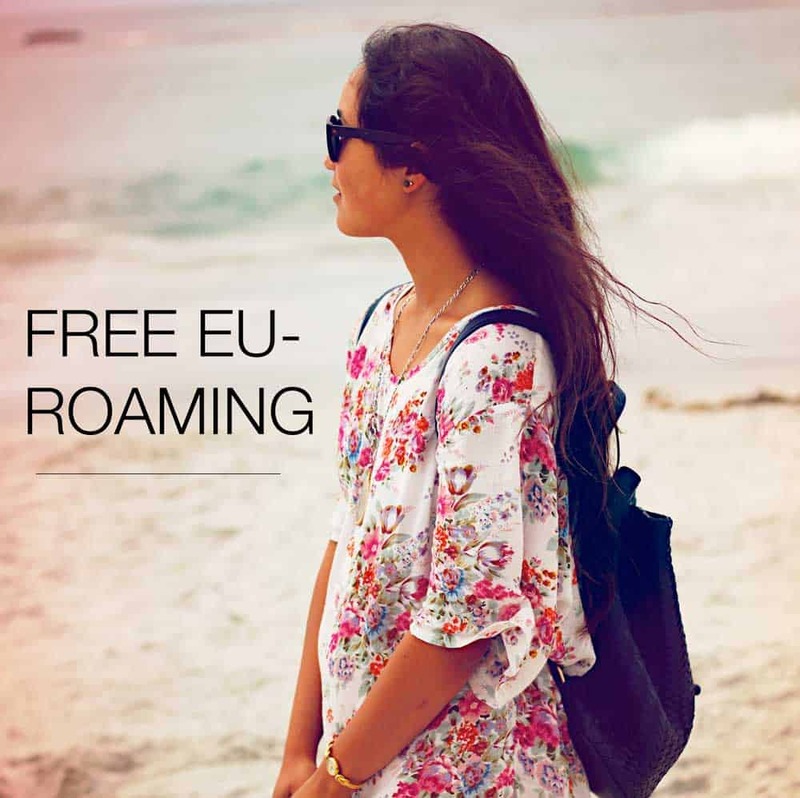 All major providers like Telekom, Congstar, O2 and Vodafone will give you free EU-roaming. Hi Dusan, do you mean the SimDiscount 3GB plan? That is actually 7.99€/month. 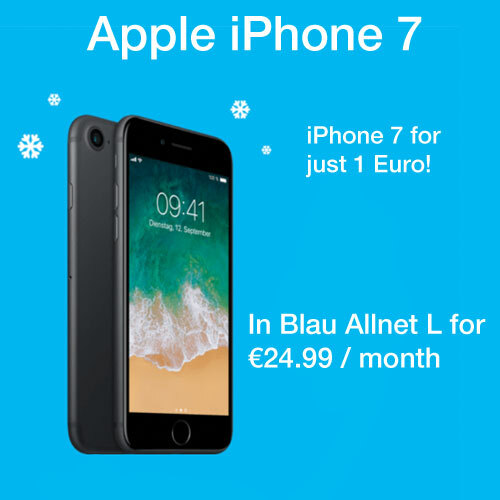 The Blau plan 3GB is 9.99€/month now. I need a plan for my daughter who is studying in germany for 2 years . I would like it to come with a phone . Every German plan will work in all countries of the European Union with free roaming. If she is a student, she can take advantage of student discounts. Plans from Vodafone offer a good value and these can be ordered with or without smartphone: Vodafone Student plans. O2 plans are usually slightly cheaper.